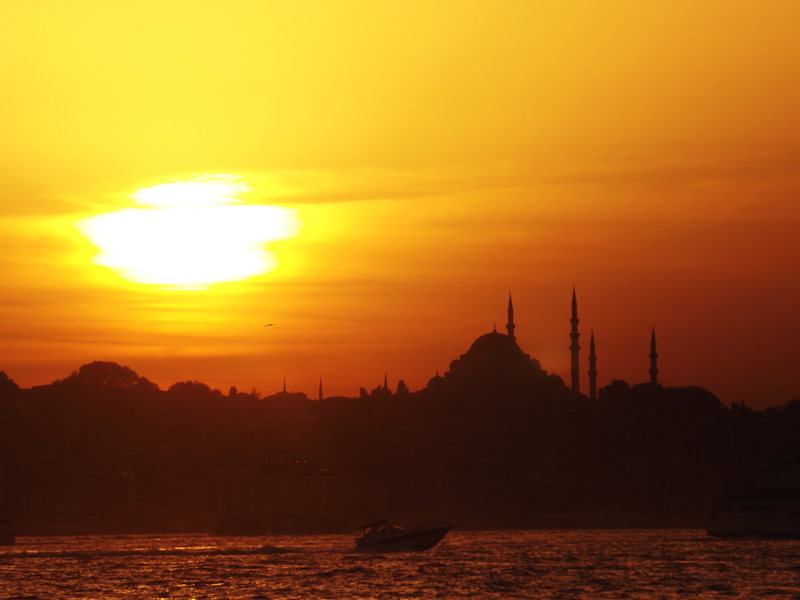 Thinking of booking a city trip to Istanbul? Do it! It’s a great city to spend three/four days. And I have some things you should do, some things I do not recommend and some things I missed out on or weren’t for me, but that sounded interesting. Do as much as possible on foot. As you walk around the narrow streets and along the Bosporus you will breathe in the amazing history of the city and experience the magic. Visiting the top attractions is kind of a must. You can’t leave city without shopping at the Grand Bazaar and Spice Market. Over 5000 sellers sell everything from spices to carpets. 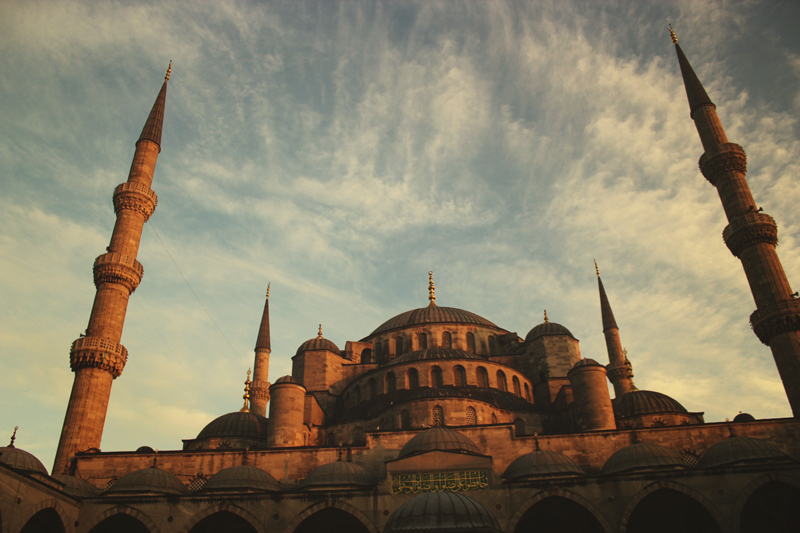 The Hagia Sophia, Blue Mosque and Topkapi Palace are a must if you’re into architecture and history. Before traveling into Turkey, you will will need to go for a visa. You’ll be able to avoid the hassle of needing to buy a visa upon arrival by making an application for one online – via E-visum-service for example. Be careful with traffic … it’s crazy to say the least. There is no way to describe it but once you set foot you will notice. Also try to avoid taking a taxi in the touristy area as much as possible they are known to be scammers. If you need a taxi make sure it’s one called from your hotel. Budget food trip: eat at Locanta Helvetica in a side street of İstiklal Avenue. It’s a buffet style restaurant that will feed you for a cheap price. Princess Islands are a great destination for a day trip and to escape the busy and crowded city, you can rent a bike and discover the place. I already mentioned it here. But the food in Istanbul is amazing. 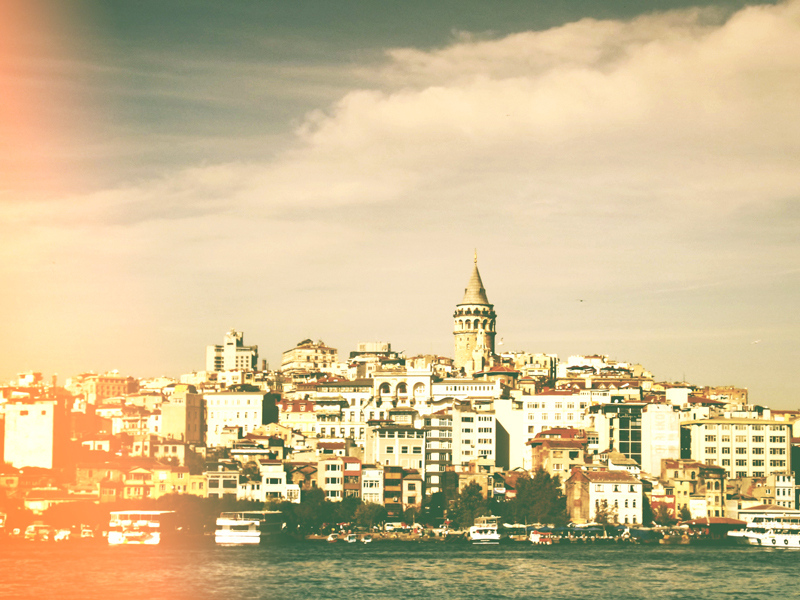 Free view of the city via the Walls of Constantinople, it a great place to see how incredible Istanbul is from above. A few years ago the first modern arts museum to opened in the city and the Istanbul Modern is probably worth it for the warehouse location alone. And good to know that admission is free every Thursday. So you can enjoy what it has to offer for free. Don’t be afraid of haggling. There are no prices for a reason and it can turn into a fun game. My favourite is to pretend to walk away when it gets close to what I want and the seller will usually give in. Watch out for scams. I wasn’t victim to any, but that’s mainly because I read about some tricks they use. This is a great overview. I personally don’t think the Dolmabahce Palace was worth the visit. It’s gorgeous, but just wasn’t for me. I know you can get combined tickets to the harem, so maybe if I had a combined it? Any thoughts? Did I miss out much? Maybe a visit to a hammam (or Turkish bathhouse) is something for you? From what I heard Cağaloğlu Hamamı is pretty amazing and everything you want from a bathhouse. But they are all over the city and there should be one which meets your requirements. If you like colour and nice architecture then go to the Cihangir district. It’s an upcoming hip place with narrow streets, a park to rest for a bit and street cafes to quench your thirst. Have you been to Istanbul? Anything to add? For authentic and affordable food go to Helvetica. Here you’ll have a choice of around 20 options, to pile on your plate – 5 selections should be enough for one person. You will find this hidden gem in a side street off the famed shopping street Istiklal Caddesi. Vegetarian friendly. You know that signature picture postcard shot of Istanbul? It was most likely taken here, at the Galata Tower. Reachable by ferry or a bus over the Bosphorus Bridge, the Asian half of city is an often overlooked part of Istanbul. Make sure to see the sunset from one of the lounge bars near the shore. Sample one of the city’s many street stalls, selling roasted chestnuts, roasted corn, simit pretzels and lahmacun. Refresh your palette with a Turkish tea or a cup of freshly squeezed pomegranate juice.